This is the first of many ParaTakes With Pat Fitzhugh that I intend to produce and distribute. A ParaTake is my short take on any topic related to the paranormal. The first few ParaTakes will cover popular myths and misconceptions associated with Tennessee’s infamous Bell Witch legend. Why the Bell Witch? Although there is more to my work than just the Bell Witch, I’ve spent two-thirds of my life researching the terrifying legend. Over the course of decades spent researching a legend, the researcher accumulates a list of pet peeves. And naturally, the researcher occasionally feels the urge to share them. Sounds like a job for ParaTakes! “From 1817 to 1821, a Tennessee family experienced a series of terrifying disturbances at the hands of an invisible, malevolent entity. Known as the Bell Witch, the entity beat on walls and floors, tugged on the children’s bedcovers, sang hymns, and predicted the future. Along the way, she mercilessly brutalized the family’s youngest daughter, Betsy, and killed her father. “Scholars have attempted to explain the mystery for almost 200 years. Although nearly everyone has an opinion about the so-called Bell Witch, a provable explanation continues to elude researchers. A popular theory posed in recent years suggests that the entity evolved from Betsy Bell’s subconscious mind as the result of her [allegedly] having been abused by her father. ParaTake #1: The Bell Witch Legend’s Abuse Theory — Fact or Speculation? 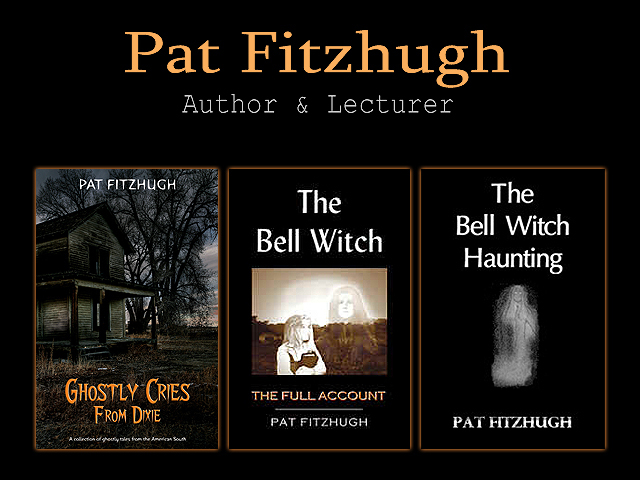 Posted in Author Appearances, Author Interviews, authors, Ghosts, Halloween, Historical Fiction, Paranormal, Storytelling and tagged author appearances, author interviews, Bell Witch, ghosts, indie authors, paranormal, scary, spooky, storytelling, video on February 17, 2014 by Pat Fitzhugh. Every serious author needs to read this, as well as my comment. Posted in Author Scams, indie authors, indie publishing, self-publishing and tagged indie authors, indie publishing, self-publishing on May 4, 2013 by Pat Fitzhugh. Last week, self-published authors stunned the publishing world by taking the Nos. 1 and 2 spots on the DBW Ebook Best-Seller list. Kudos. Posted in e-books, kindle, Publishing and tagged books, eBooks, indie authors, indie publishing, self-publishing on April 30, 2013 by Pat Fitzhugh. I have a blog interview at Natasha Larry Books. Check it out by clicking here! Posted in Author Appearances, Author Interviews, authors, indie authors, Writing and tagged author interviews, authors, books, e-books, indie authors, Writing on March 15, 2013 by Pat Fitzhugh. The sequel to Ghostly Cries From Dixie is well underway. The first three drafts are edited, and the fourth is almost complete. Only two more drafts to go! The sequel, with a working title of MORE Ghostly Cries From Dixie, will feature more weird and ghostly tales–and haunted locations–from the land of moonshine and magnolias. The release date has not been set, but both the paperback and Kindle editions will be on shelves in time for Halloween 2013! 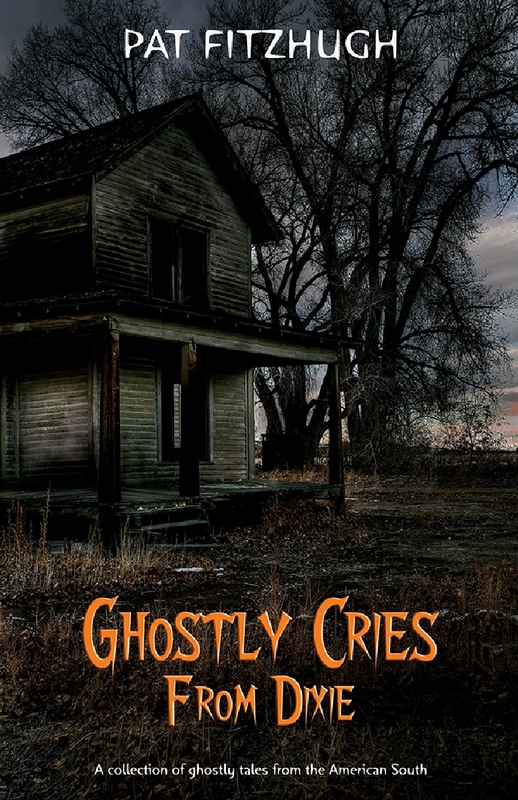 Speaking of Ghostly Cries From Dixie… if you haven’t read the first book yet, now would be a great time to snag a copy. The Kindle edition is now on sale for only $2.99! Click here to purchase and download your copy instantly! Pleasant dreams. Posted in book promotion, e-books, kindle, Paranormal and tagged dixie, Forthcoming titles, ghost stories, ghosts, haunted, indie, indie authors, Kindle, paranormal, poltergeists, south, southern culture, storytelling, witches on February 26, 2013 by Pat Fitzhugh.